Patients in the hospitals run by University Hospitals of Morecambe Bay NHS Foundation Trust (UHMBT) will now benefit from more effective blood pressure monitoring thanks to over £23,000 investment in new equipment. 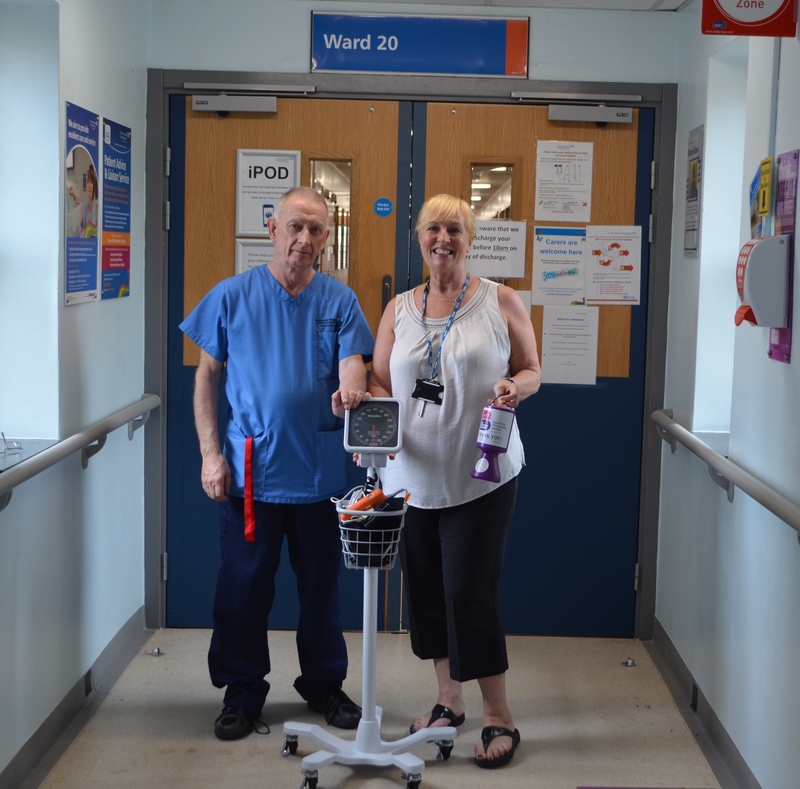 Thanks to charitable funds, UHMBT has been able to invest £23,328 into 162 blood pressure monitoring mobile roll stands for wards across Furness General Hospital and the Royal Lancaster Infirmary. The Trust had already invested in a number of hi-tech manual non-invasive blood pressure units but they were fixed to the walls of wards. Now, thanks to the Trust’s recent investment, they will become completely mobile – enabling clinical staff to spend more time with the patients. Sue Smith, Executive Chief Nurse and Deputy Chief Executive, UHMBT, said; “The use of manual sphygmometer – the type of blood pressure monitoring now in place at UHMBT – is considered the gold standard for patient monitoring. The 162 mobile stands were funded by Bay Hospitals Charity. Bay Hospitals Charity is a registered charity set up to hold and manage charitable money given to UHMBT’s hospitals. Voluntary donations can really help provide a little bit extra such as additional medical equipment, medical research, specialist training and improvements to patient facilities. It is the generosity of the local communities that enables the charity enhance and support the Trust’s services, so if you would like to support the charity and make a donation, please visit http://www.bayhospitalscharity.org/ or email charity@mbht.nhs.uk.